LeeAnn Norton, CEM has over 20 years in show management experience. LeeAnn has served on various IAEE Committees, was appointed the Krakoff Leadership Representative on the IAEE Board of Directors, has been a speaker/panelist for IAEE, is a current CEM Faculty member, and she has served on numerous industry advisory boards. She joined PRSM in 2014 as Director of Vendor Relations & Events and is responsible for overall management of the Facility Management shows in the U.S. and Canada. Along with IAEE, other professional affiliations include ASAE, DFWAE, and MPI. She received her CEM in 2012 and graduated from the IAEE Krakoff Leadership Institute in 2013. 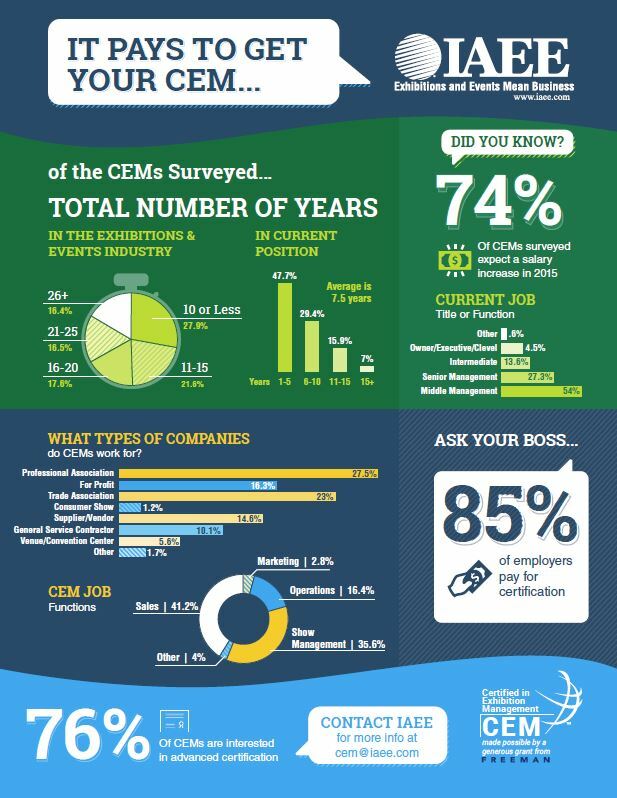 IAEE spoke with LeeAnn and dug a bit deeper as to why she joined the exhibitions and events industry and how the CEM program has helped shape her future. Quite by accident. My background was Marketing and Special Events and I was hired as Director of Marketing for an association. The conference position became open and was not being filled, so I volunteered. Once learning there was a major difference in conferences/trades shows vs. special events, I sought out IAEM (at the time – now IAEE) to help me grow my knowledge overall. I currently handle our Supplier Membership and make sure they stay happy – which is 99% based on our exhibitions and conferences. I am the lead over all of our conferences (U.S., Canada, Europe) handling all the contracting, exhibition, logistics and operations. The knowledge you gain from IAEE alone is worth it; however, the interaction in the CEM Learning Program is PRICELESS. Talking and networking with my peers has helped tremendously in day to day management. I use the relationships I have made through IAEE on a daily basis. I have been a faculty member for 2 years, but very involved in the association as well through committee work. There is not just one – Meeting amazing people, making great contacts, getting the “thumbs up” and a big smile at the end of a class when one of your peers has passed the test, and mostly when I get a phone call after the class asking for advice or assistance. Do it if you are passionate about the industry and what you teach. It is so easy to read any instructor that is just going through the motions and is not passionate. I learn something new and innovative in every class from the interactive participation, making new contacts/friends, and continuing to learn myself. Absolutely. For the few that do not know what the designation is, it is an ice breaker and it is amazing the respect you get from everyone in venues, hotels, DMCs, and many other service providers. I spent two years on the Expo! Expo! Advisory committee, am currently in my third year on the Education Committee, was the Krakoff representative on the IAEE Board Member for one year, and attended both the Krakoff Leadership and Advanced Leadership workshops. I am also a member of ASAE currently going for my CAE certification, and have been a member of MPI and PCMA in the past. I get the most benefit, learning experiences and relationships through IAEE.